A Sequim real estate broker has been and continues to set the pace for brokers on the Olympic Peninsula. We are way out in front with the most powerful Internet marketing system on the Peninsula of any agent or broker. We have been first over and over again, and every time we are giving buyers more free resources. 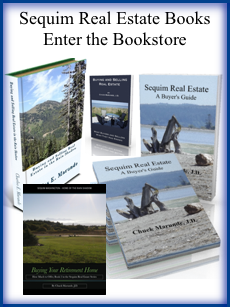 We were the first Sequim real estate broker to write and publish a book about Sequim real estate, the first to have a real estate blog with over 1,200 articles, the first to have a smartphone app for searching real estate in the iTunes store, the first to have a powerful MLS online that allows you to search both the Olympic Listing Service and the Northwest MLS, the first to give consumers an online Sequim Market Report (and Port Angeles) that they create themselves online, and the first Sequim real estate broker to create a huge set of tools with special guidance for buyers to search for their homes, to negotiate the best prices, and to manage the due diligence issues. We even have a 20-year real estate attorney on board who gives away free legal advice to our clients. We are constantly working to give our clients more wonderful and free tools online, and none of our sites require buyers to register or reveal their confidential information. We are truly consumer-centric. Who gives consumers as much as we do? No one except one Sequim real estate broker. Clients love all the free resources, but real estate brokerage is more than giving buyers the best online tools. As much as clients rave about our online resources, there is something far more important that is foundational to everything we do every day of the week. It is called integrity. For this Sequim real estate broker integrity is the foundation of this entire brokerage and every single agent, personal assistant, and employee must practice with the same integrity. Many preach integrity because they know it’s a great sales pitch. It sounds good. Many actually intend to practice with integrity. Some do. But the integrity we write about here is unconditional and cannot be compromised. We won’t hire just any agent who happens to have a license. We require honesty and integrity–the kind that is absolute. Lest you think we are just selling a concept and not living and breathing it, let me explain our concept of integrity. Integrity means you are the same person yesterday, today, and tomorrow. We accept nothing less than unqualified honesty. Integrity is honesty 24/7 without excuses. We are all human, so we all make mistakes, but integrity admits it, apologizes, and makes it right. Integrity never has to lie, misrepresent or exaggerate. Integrity tells the truth, even it the truth isn’t impressive. Integrity is working hard in real estate, paying attention to details, and taking care of clients competently and honestly. 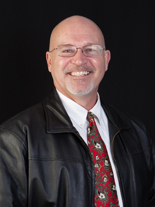 Only agents and brokers who have an absolute commitment to honesty and integrity are qualified to work with this Sequim real estate broker. Integrity means we practice what we preach. We are competent, and we are disciplined. This translates to drafting unambiguous contracts, clean language, and addressing all our clients needs. It means being pro-active and managing risk for our clients by helping them with the right due diligence addendums. We don’t miss critical contract deadlines, and we follow up, just like clients expect and hope we will. Integrity is under promising and over delivering . . . every day. Integrity is holding ourselves to the highest standards, and extending grace and mercy to everyone we work for and everyone we work with. Sometimes that means we have to do the work of the agent on the other end of a transaction, but we don’t complain. We do it because we are determined to help our client reach his goal and get his transaction closed. Ronald Regan used to say, “It’s amazing how much you can get done if you don’t care who gets the credit.” We work hard, and we don’t care who gets the credit. That’s what integrity is. Integrity is working together as a team, helping each other succeed. Integrity in our brokerage is encouraging others, helping others, loving others. There is no room for the angry, bitter, unhappy agent. We foster positive minded agents, happy agents who are on a path of constant personal and professional growth. Integrity defines the honest agent who is real, not with dysfunctional layers and hidden agendas. A big part of our success with our clients is an outgrowth of their trust in each of our agents as honest and real. Integrity is at the core of all the relationships we build. This business is not just about real estate. We are about relationships. We believe that life is primarily about relationships. We build relationships every day. Our entire marketing approach is founded on that principle. Out of honest relationships come transactions. We do what is right, and the money takes care of itself. That’s integrity. Integrity is found in our business model at every level. Integrity is found in our marketing plans. Integrity is found in our listing presentations. Integrity is found in the thousands of articles we publish on the Internet. Integrity is found in our videos, audios, and syndicated marketing. Real integrity is not compromised in any aspect of our business or our relationships. 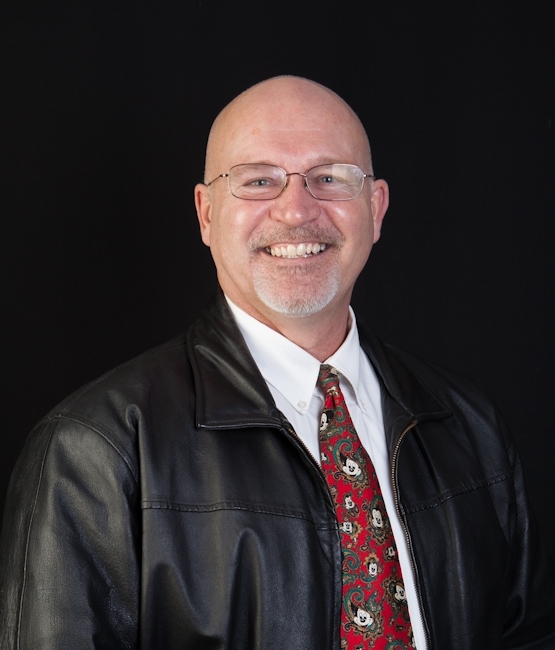 This Sequim real estate broker encourages buyers to enjoy our resources, but most of all we hope you experience our absolute commitment to integrity.